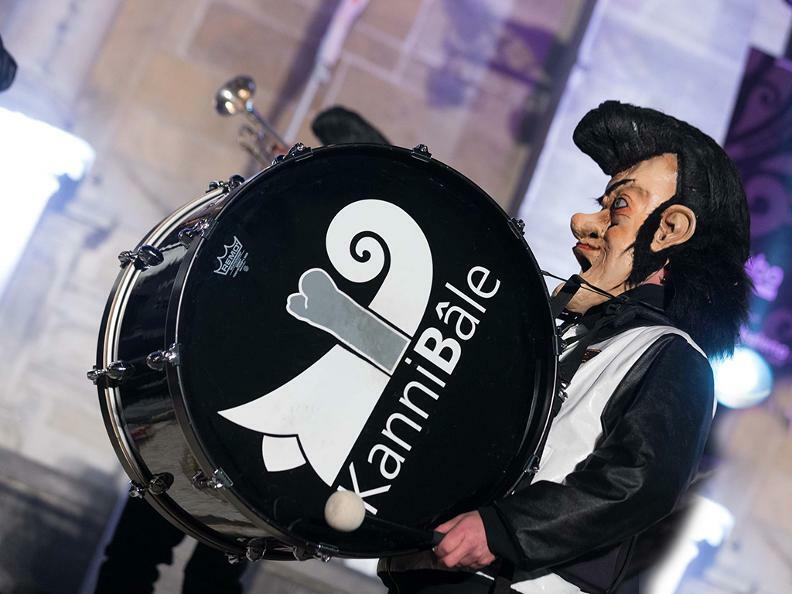 The leader of this racket is the “king” elected by the carnival association. 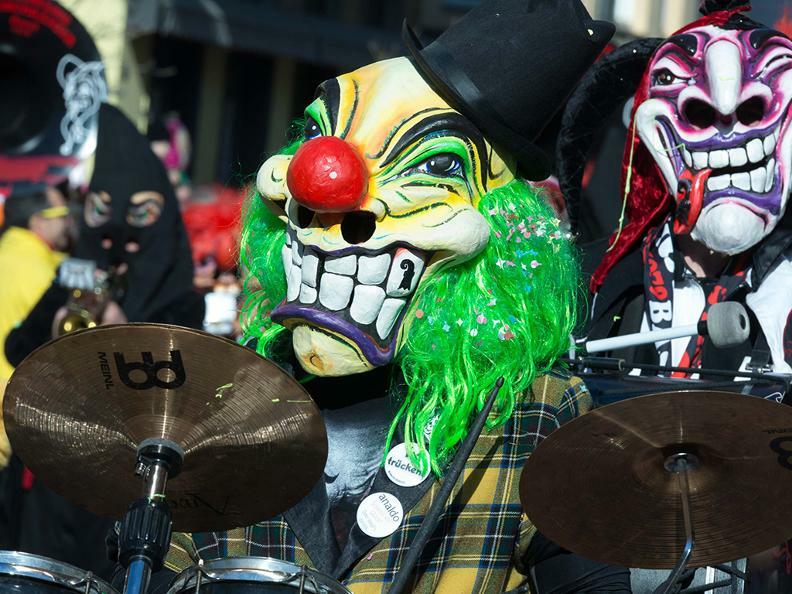 On Fat Thursday, the first day of carnival, the mayor of Bellinzona hands him the (symbolic) keys to the gates of the city and for the next five days the fools rule Ticino’s capital. 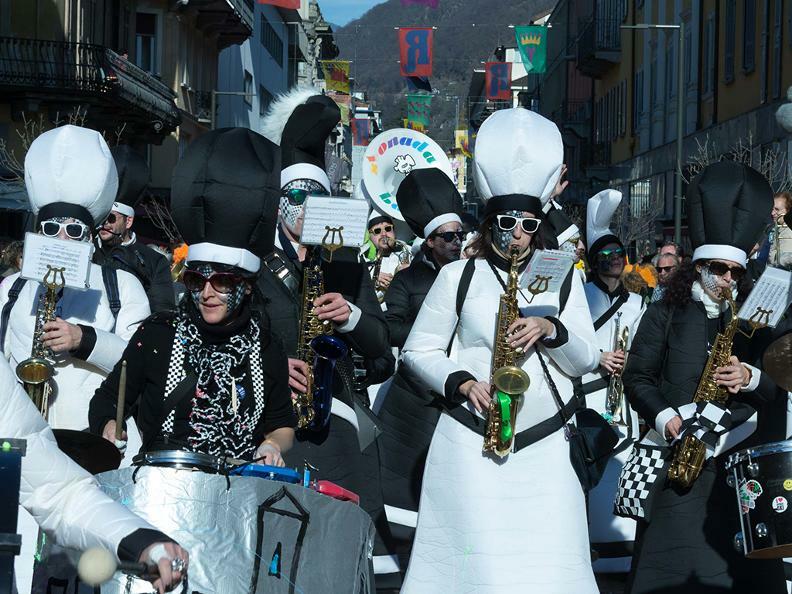 The Friday of carnival is dedicated to the youngest: indeed, there is the parade for the children of Bellinzona and the surrounding area. 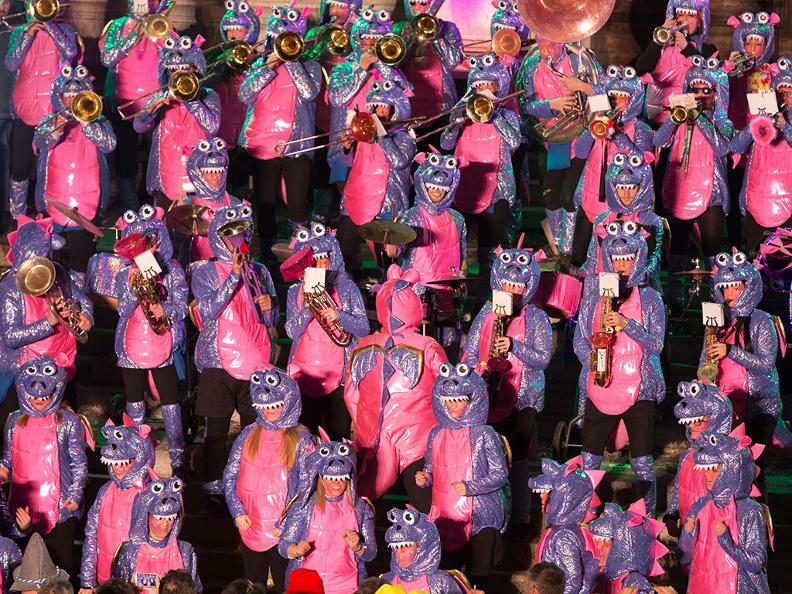 On Saturday, carnival bands, so-called “Guggen”, from Ticino and the German-speaking part of Switzerland give concerts far into the night. 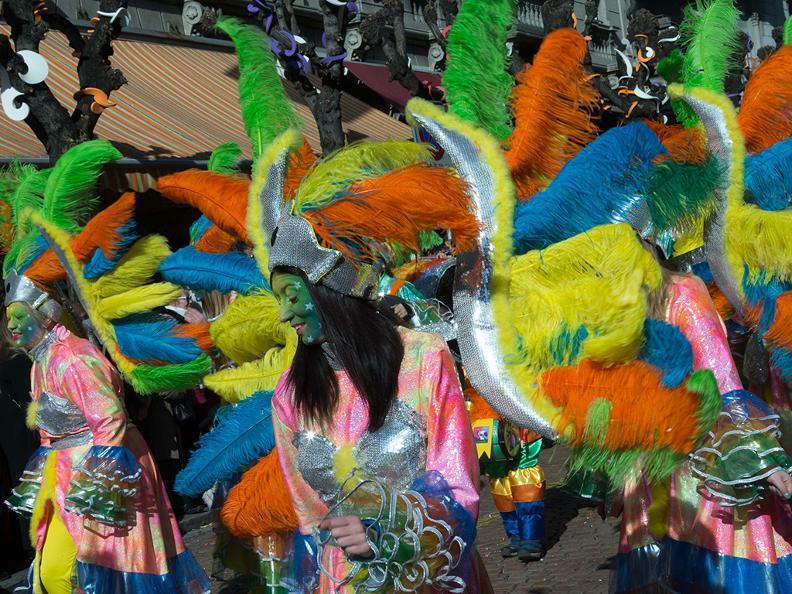 The highlight of Rabadan is the big parade on Sunday. 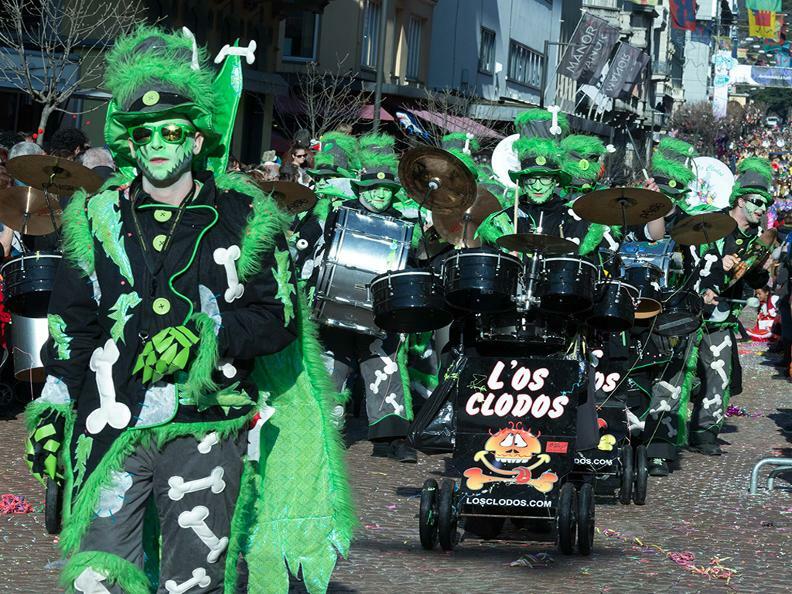 Around fifty carnival bands and carriages participate in the “Grande Corteo Mascherato”. On the television of the Italian-speaking part of Switzerland there is even a live broadcast of the parade.